Second arc from the Black Mirror story. 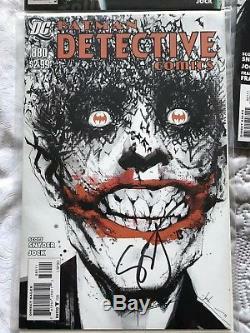 Including the iconic issue 880 which is SIGNED by Scott Snyder! 880 is the only signed issue. 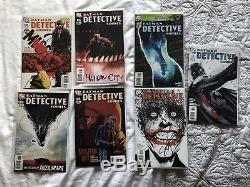 The item "Detective Comics 875-881 Black Mirror Snyder & Jock 1st Prints Inc 880 Signed" is in sale since Monday, October 1, 2018. This item is in the category "Books, Comics & Magazines\Comics\US Comics\1984-Now (Modern Age)\Batman". The seller is "scott_evil688" and is located in Carrickfergus. This item can be shipped to United Kingdom.